Build a long-range financial plan. Create a digital record of your important information. Our booklet will show you steps you can take now to protect your family's financial well-being after your lifetime, reduce your tax burden, and possibly boost your retirement income. 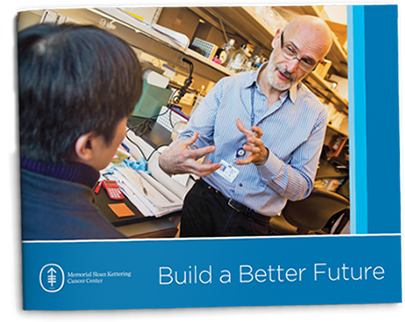 You'll learn tips to craft a secure estate plan that will ensure your support for Memorial Sloan Kettering continues for future generations. Need help? If we can provide any assistance during your planning process, please contact the Office of Planned Giving at plannedgiving@mskcc.org or 800-688-1827.